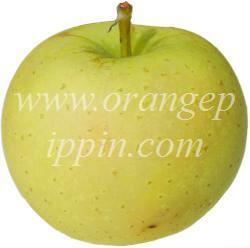 Yellow Ingestrie is an old English apple variety, quite well-known for its distinctive yellow coloration. The yellow becomes more pronounced as the fruit is left to mature. The flavour is pleasantly aromatic. 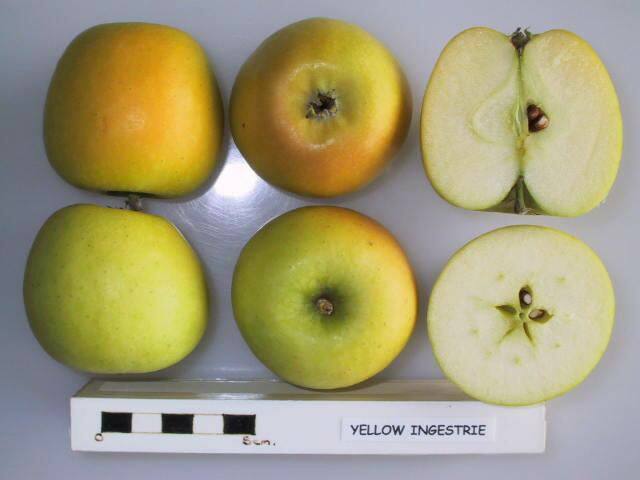 The Victorian pomologist Hogg records that Yellow Ingestrie was the result of a cross between Orange Pippin and Golden Pippin, made in about 1800, by a Mr Knight of Herefordshire. As a result it is often mistakenly thought to be related to Cox's Orange Pippin but "Orange Pippin" is an older apple with a similar name. A beautiful little dessert apple. Tender delicate flesh, plentiful highly flavoured juice.